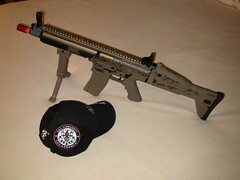 Breaking News: PolarStar has first military customer…in ASIA! This could be the break that MilSim and Airsoft players have been waiting for. The first official adoption of 6MM ammunition as a dedicated training device by an official military organization, in Mongolia. 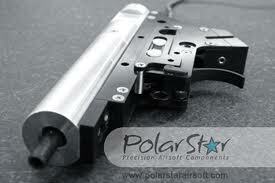 And a major order for PolarStar’s revolutionary system in ASIA…the birthplace of Airsoft! Thumpy’s 3-D House of Airsoft monitors all news sources for airsoft-related headlines and details, and many of those sources also include real-steel and military media via Thumpy’s new SCOOP.IT channel. It was via a SCOOP that we started to put the pieces together, and were able to confirm with public information sources the who, what and why of P*’s big coup! 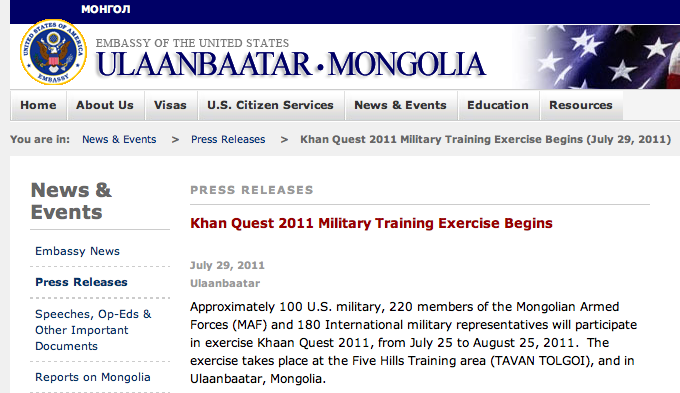 It begins with a joint US-Mongolian training exercise, “Khan Quest 2011,” held last July in Mongolia, which involved military members from the US Marine Corps and more than a dozen other international militaries around the globe. 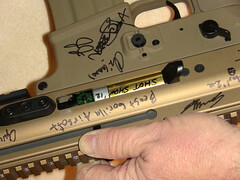 One of the reasons this came to Thumpy’s attention was that a friend from Thumpy’s “prior life” as a real-mil/ miltary beat reporter, US Marine Corps Lt. General Kenneth Glueck, attended the exercises as the senior US Military representative, and that US Marine connection–along with South Korean and Japanese troops at the event, AND A FORTUNATE ENCOUNTER WITH A MONGOLIAN MILITARY MEDAL, is how Airsoft…and particularly the PolarStar system…will soon be making its way to Mongolia. 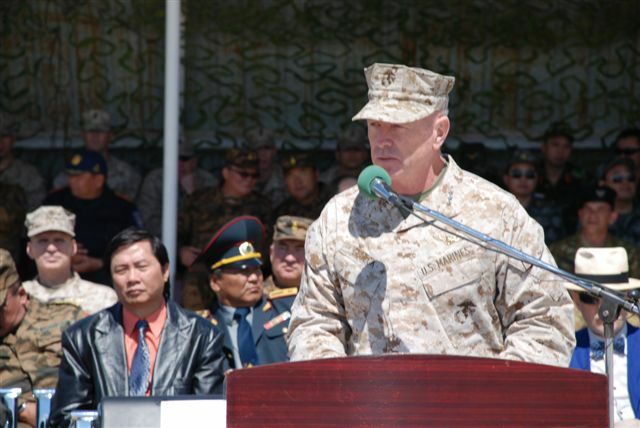 USMC LtGen Kenneth Glueck speaks at "Khan Quest 2011" in Mongolia. As reported by DoD Public Affairs sources, several civil-disturbance exercises were part of the overall “Khan Quest” scenario. 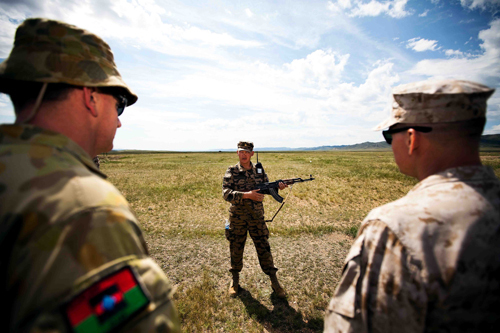 During one of these ops, a Marine gunnery sergeant in charge of prepping the site suggested that the Mongolian military should try to integrate its non-lethal training systems into the plans for the scenario. 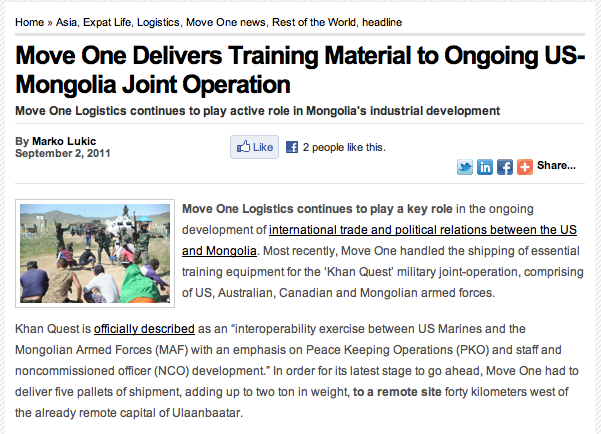 But, one problem….Mongolia, being a former Communist regime trapped between the former Soviet republics and China has NO non-lethal training equipment. 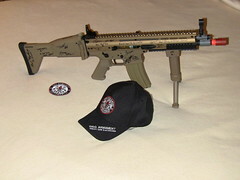 Its sole experiences with civil control are, how would you say, “real-world experiencial” only! I.E., training in crowd control was simply done by controlling out-of-control riots as-they-happened. Kind of a “on-the-job/riot” education! 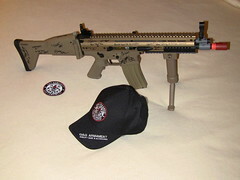 One of the III MEF Marines said, “Gee, I which we had our airsoft guns we left back in Okinawa. 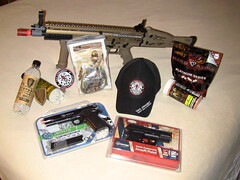 They’d be perfect for this scenario.” And, both Japanese and South Korean advisors also chimed in at that point, with their rich tradition of bringing Airsoft to life, and as major exporters of airsoft guns. 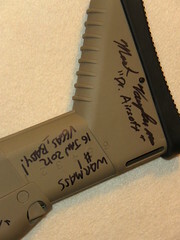 All agreed that the Mongolian military should invest in airsoft as an affordable training system for future events, and utilize the same transport system involved in just-in-time delivery of the real-world supplies for the exercise, to ensure that they received a cross-section of airsoft rifles and pistols for test purposes. 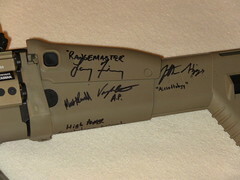 AK-based weapons systems are used by Mongolia, making PolarStar's just released Version 3 Fusion Engine a perfect fit in the real-world scenarios practiced at "Khan Quest"
In the subsequent time since “Khan Quest,” all three nations have coordinated via their embassies to provide test Airsoft equipment to the Mongolian army, and one of those systems that most-impressed the test engineers was the PolarStar “fusion” engine. Since it uses compressed air as a power source, and can be dialed up and down in power, it can go from high-rate of fire training system to a real-use riot control device with a few tweaks of the FCU module. 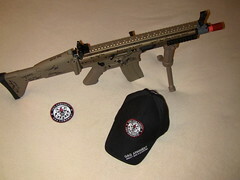 And, more impressive, the PolarStar system’s use of HPA will also allow the AK’s to be used in cold weather conditions for training or even prison riot control, as the airsoft “MK 4 Strafer” is, from our buddies Sam at XCaliber Tactical and Tim “No Airsoft for Old Men” Ellwood, at events like West Virginia’s Annual Mock Prison Riot. 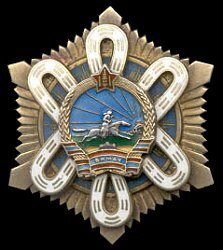 But the Mongolian’s real purchase of PolarStar is because of one of a strange coincidence : the highest civilian honor bestowed by Mongolia to a foreign citizen is called the Order of the Polar Star. 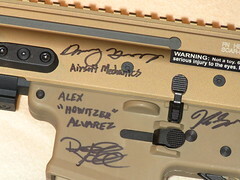 And, the chance encounter between military professionals, and the naming of a country’s highest honor for the POLAR STAR will soon mean a boost in international trade, stronger military cooperation, and a chance to further Airsoft as a serious training tool around the globe. 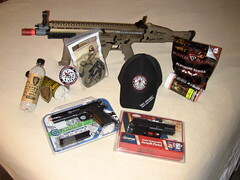 Expect to hear big things from PolarStar (and the MARINES/Airsofters) who will soon be back in Mongolia for this year’s “Khan Quest 2012” exercises, armed with P* Airsoft products! Next Post CYBER-G Watch : Airsoft-News.EU – IWA 2012 Video Report – Interview with Mr. Jerome Marsac, CEO of Cybergun S.A.
Oh damn, you sure got me.